Welcome to Perfect Order kitchen design. 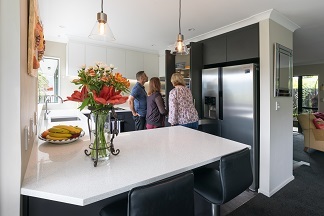 If you live in Wellington and dream about a gorgeous new kitchen then read on! My approach to designing the perfect kitchen is to really understand how families live and work in them. For me it’s about listening and building relationships that create trust and credibility between client & designer. I like clients to feel comfortable and confident in my ability before we start our working relationship. Your kitchen is the most used room in your home and needs to be extremely practical & functional as well as stylish. Choosing quality materials, fittings and hardware are top priorities for the modern, busy kitchen! 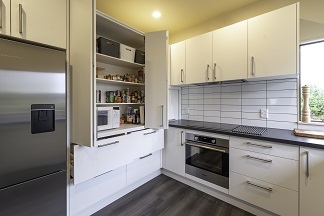 My aim is to make sure you have defined work zones, and organised spaces for every last item you use & store in your kitchen so that it is perfectly organised for easy living! I live in Whitby. I am not employed by anyone, and therefore work like a kitchen “broker” of sorts. 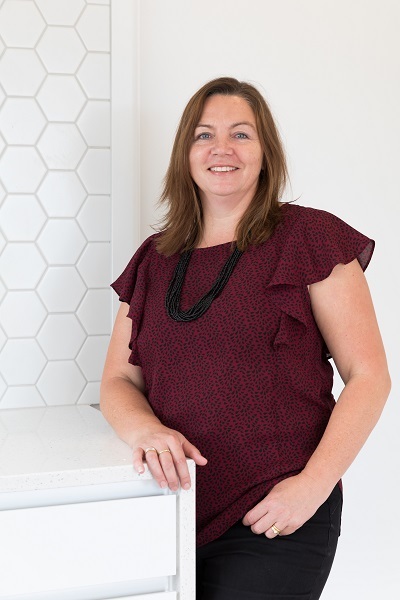 My focus is to guide and advise you towards the best products and design solutions specific to your individual needs and budget to make sure you get maximum value for your money! Designing a new kitchen requires a lot of decisions, so I aim to make the process as stress free as I can by providing a “one-stop-shop” solution to the whole renovation process. I offer a complete service which includes the initial concept & design plan, right through to the quote, manufacture, and installation of your new kitchen. This means you only need to deal with me as your primary point of contact throughout the entire process. Although I am an independent designer I choose to use David Ladd Joinery as my preferred supplier to manufacture my kitchens. David’s workshop is based in Tawa. 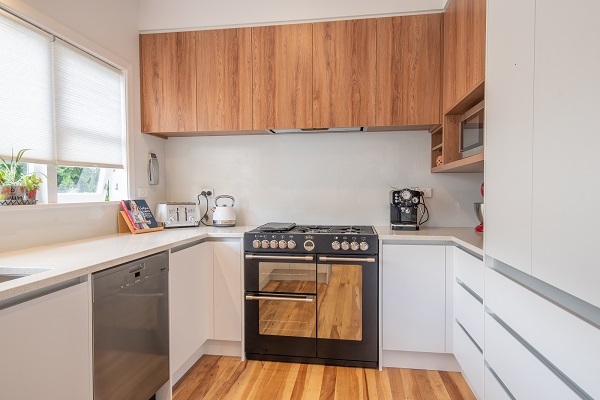 He has over 30 years of experience and is a member of the Master Joiners Association (MJA) and National Kitchen & Bathroom Association (NKBA) I know and trust his workmanship & customer service ethic. We work well together as a team. My aim is to be the best “non-product” investment you will make in the initial planning stages so that I can save you time and money by eliminating possible design errors and helping you to select the right product choices for your budget.